• In 2006, the six largest insurance companies made $11 billion in profits even after paying for direct health care costs, administrative costs and marketing costs. • Only a single-payer Medicare-for-all plan can realize these enormous savings and provide comprehensive and affordable health care to every citizen. It’s obvious this system is unsustainable. 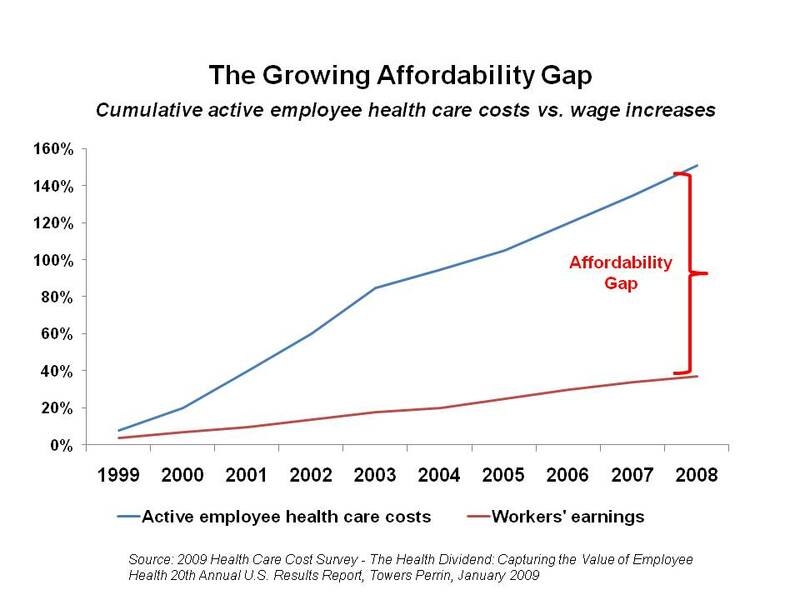 If health care costs continue to rise faster than wages, year after year, nobody will be able to afford healthcare. If we consider the economic recession, people are already on the edge of what they can afford. They don’t have any more money to pay out. For these reasons healthcare reform has to happen soon. So where does the U.S. stand in terms of healthcare? Are there any other countries out there with a successful healthcare system, which we should consider modeling ourselves after, or are we going to have to sail off into uncharted waters? Back in 2000 the World Health Organization did an intense study, and ranked all the countries’ healthcare systems. Each nation was ranked according to how long people lived in good health, access to care, and other factors like that. France came out in first place. The United States was ranked #37, right in there with some third world countries. Michael Moore pointed this out in his film ‘Sicko’. Later some independent researchers contested the story, thinking it had flaws. They argued that other factors determined things like long life, and more had to be considered. So two researchers at the London School of Hygiene and Tropical Medicine measured something they call, “amenable mortality”. In short, it measures how many deaths could have been prevented by access to health care. Once again, France took first place. The United States ranked DEAD LAST. Considering the French love their system, and it’s #1 in the world, let’s see how their system works. We should probably model ours like theirs. First off, the French healthcare system is not socialized medicine, like much of Europe. They use both private insurance AND government insurance. Also, similar to Americans, most French get their healthcare insurance from their employers. In France, everyone has access to healthcare, but there are no long waiting lists for surgeries, or to see a specialist. Part of this is due to their system being better, but there are also a higher concentration doctors as well. The French have one physician for every 430 residents, whereas we have one physician for every 1230 residents. Combine a better system, and the fact that it’s less crowded, and you’re bound to be better off. News commentators have told us about the long lines which exist in Canada and Britian. That’s completely true. It does exist…for them anyways, but not the French. The French are all about choice. The more choices, the better. The real lie we’re being told is that if we implement a universal healthcare system, we have to give up our choice of doctors, and other care. That’s not the case in France. Their system is structured to where individuals can choose whatever physician and specialist they want, and doctors are not encumbered in government regulation. They make their own medical decisions. So how is the French system funded? Taxes. Income tax and payroll tax. This money goes into a quasi-public insurance fund that negotiates with medical unions, and sets doctor fees. Doctors, however, are not forced to stay within this system. They can practice medicine completely outside the system, if they wish. Patients pay these doctors straight out of pocket. Their government regulates hospital fees. So their taxes must be INSANE right? 75% of their income must be sucked out by the government! Not so. Their system is expensive, no doubt, but our system is almost twice as expensive, yet we get crappy care. We spend $7129 per person on care. The French spend half that. In 2005, they spent $3300 per person. When tax time rolls around for the French, approximately 21% of their income is taken out for their national healthcare expenses. Employers typically pay a little more than half of this. We Americans don’t spend as much in taxes, but we end up paying a lot more in the end. Once you add up what we pay for insurance policies, medications, and other out-of-pocket expenses, we end up paying a LOT more. Medical bills are split between the national insurance plan, and private insurance. 70% is paid for by the national insurance plan, whereas the other 30% is paid for by private insurance. Almost everyone has private insurance, so this is how it goes for most people, in most cases. Private insurance is very affordable, and employers pay for it most of the time. French citizens must have compulsory health insurance. The insurers are private entities, not linked the the State. An employee pays 0.75% of his or her paycheck toward this private insurance. Employers pay 12.8% of the employee’s salary into this same plan. As for the poor, those earning less than 6600 euros a year (approximately $9400 USD) do not have to pay anything. Us Americans would find the French system strange. Over here, the worse your health, the more insurance companies try to push you aside, and avoid you. If you’re in bad health, no one wants to mess with you. In France, it’s the exact opposite. Over there, the sicker you are, the MORE coverage you get. If you have a long term illness, such as diabetes, cancer, or even a mental illness, 100% of your bills are covered. Surgeries, doctor visits, medications, therapies… everything. 100% taken care of. In my opinion this is how it should be. France makes guarantees that cancer patients get every drug and treatment available, no matter the cost. Even if these drugs are experimental and still being tested. Considering how much money we’re ALREADY spending, if we just copy the French, we can have top-notch care for half the cost. So let’s do it! There seems to be enough momentum behind healthcare reform now. If people are given the right information we can make this happen. I found this video while reading news articles online. These guys summarize what this bail-out garbage is about. In the past I’ve talked about this same thing. Bankers inflated the markets lending out tons and tons of money (much of it cooked up out of thin air through fractional reserve banking). They loaned money to anyone and everyone, not even necessarily intending to be paid back. They were making money off lending fees, passing debt around among themselves, selling these debts to other institutions (giving them triple A ratings), and other schemes. They didn’t even run proper credit checks on most people. They knew the loans were bad, and wanted to discard them as quickly as possible. As for the insane lending, I can testify to this first-hand. I know of people who were getting huge loans and had just recently filed for bankruptcy. This huge influx of fake money blew housing prices out to Pluto, but eventually people couldn’t make their bill payments. Too much debt and those who dug themselves too deep couldn’t pay the bills. Having gas prices shoot to the roof didn’t help either. A lot of companies were making their big profits under this Ponzi scheme, such as the auto industry (which is why car prices went to insane levels). $30,000 for a normal car! General Motors was making fortunes selling cars. One of the main problems was that homes were being valued way too high, and banks were letting people refinance. People were handed huge wads of money to spend. Everyone had a mindset that home values would continue to increase indefinitely. We were all told that buying a new home was an investment! Just look at how much money people were making, holding onto their homes! I remember back in 2003 or 2004, my parents told me, “Jason, you’re making good money. You should go out and buy a new home while the interest rates are so low. You can get a good deal.” I told them, “Real estate is in a bubble. These prices are bloated, based on bankers loaning out huge sums of fake money. I’m not buying a home until the bubble pops, and prices get realistic again.” They gave me a confused look, thought I was crazy, and the conversation ended there. But I study economics and saw this coming back back in 2002. Greg and I sat in the office and talked about the stock market, and the real estate bubble. While everyone else buried themselves in student loans, new car loans, and mortgages, Greg and I stayed debt free. We knew this was coming. I remember sitting in our Pine Street office suit on the 3rd floor, looking out the window. Greg and I sat on his black leather couch and wondered when it would hit. After all, with Austrian economics, you can’t quite tell exactly when the bubble will pop, you only know it will relatively soon. We then passed around various economics books, like Robert Prechter’s “Conquer the Crash”, and prepared ourselves. People who had bought their homes in the 1970s and 80s for $30,000 now found their homes worth $150,000 or $200,000. This fake money being pumped into the system by these bankers had shot up prices way beyond what they should be, but the average person on the street thought this was a good thing. People thought this represented prosperity. 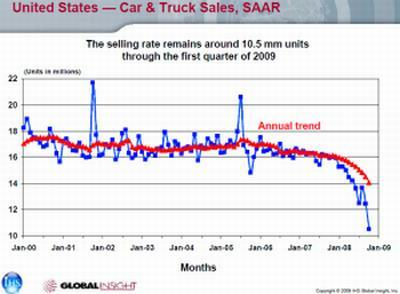 Auto companies profits sank, and when profits start to drop there’s one of two things that happen: 1) Job loss or 2) Pay cuts. Initially companies compensate for this by firing excess workers, but eventually they have to start cutting pay. 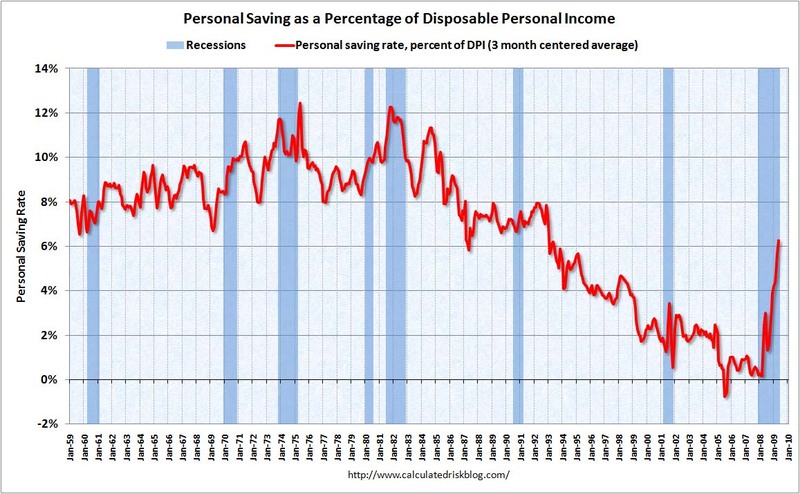 Only recently have people realized that we have to save money — I’m guessing out of fear for the future. But when the crisis hit people had no savings to handle the job loss, and started defaulting on the car loans and their mortgages. Everything tied to industries based on debt started to go under. The economy was caving in. All the factories producing parts for the auto companies were going under. The computer companies couldn’t sell you a new computer on payments and had to lay off workers. Furniture companies went under when they couldn’t sell “no money down” living room sets anymore. Basically any company making their money through debt financing was going under. Since these unemployed workers had no job, they had no money to pay their bills. They also had no savings. They begin to default on their loans. 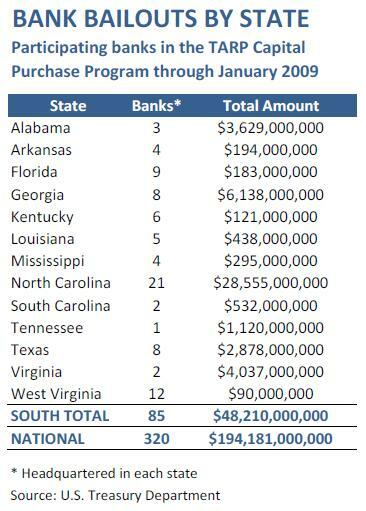 (These are the loans the bankers sold off to other institutions). Anyone holding this bad debt goes under. Some financial institutions make huge profits. As for the other financial institutions who ended up holding onto this bad debt, they begin to go under. It’s a big mess. This is exactly what Austrian economists talk about. The Federal Reserve, and the banks, expand the money supply, then they contract it and create recessions. They get the economy dependent on their fake money to operate, then they pull the plug. They cut off the flow of the fake money and everything tanks. As for the bail-outs, we (the people) are lied to from every angle. The majority of worthless commentators, politicians, and journalists were telling us “we have to act now”, this is to save “main-street, not just Wallstreet.” No time to think it over. No time to investigate it. We have to get this legislation passed NOW. And Obama smiles at the camera and assures us that we need to go through with it. The mass of people reluctantly go along with it. Not long afterward we discover that ungodly sums of money are being handed to the bankers, and we are stuck with the bill. Our taxes are going to increase, and our entire future is put on the line. $13 trillion dollars… How many kids could that send to college? How many people’s healthcare bills does that represent? A LOT. But it instead goes to the bankers to bail them out of their Ponzi scheme. Our politicians are worthless. They’ll speedily pass a bill which screws all of us out of our money. Hand trillions of dollars to bankers. But then they scream out, “We have no money for healthcare. We have no money.” That’s what I saw Fox news commentator Glenn Beck telling us. He’s clueless and is missing the entire point. No money. Psshhh. And why is that, worthless politicians? Why’d you sign off trillions to bankers? Why are we fighting these wars in the middle-east, if we’re so broke? You guys have no problem finding money for bombs, tanks, and fighter jets. Get some spine. Stand up to the bankers, take our money back, and reallocate it to things that actually help the American people! They say Ron Paul is an outsider, on the fringe. As far as I’m concerned, he’s one of the few politicians in there with any brains! He’s been fighting against the Fed since the 1980s. He’s voted against all the wars, and every budget that wasn’t balanced. He was against things like the Patriot Act, stealing our civil liberties. Sounds like a good guy to me. As if all of this isn’t insane enough, Ben Bernanke and the Federal Reserve act like it’d be detrimental to the economy if we were able to look at all this bad-debt we’ve been forced to purchase. Why? Because if we found out what we’ve been scammed into, there’s going to be a lot of bankers and other financial goons in some BIGGGG trouble. Then we’re told that unregulated free markets caused this problem. RRIIIGGGHHTTTT. The ONLY reason this happened is because the government allows the Federal Reserve, the mastermind center of the banking cartel, to continue to do what it does — screw around with the money supply, fractional reserve banking, create fake money galore, and all of that. This has NOTHING to do with free markets. Nothing is free about this system. Mass foreclosures across the country, Social Security and Medicare going bankrupt, unemployment is on the rise, and they tell us we have no money for health-care or paying for student’s college education. That’s what the corporate owned news media tells us. But… what is this? The Federal Reserve hands European central bankers $500 BILLION dollars? New Zealand gets 9 BILLION dollars? We’re supposedly on the verge of bankruptcy and in a crisis of a magnitude greater than that of the Great Depression, yet we have an extra $500 Bs sitting around, ready to hand out on a whim? And listen to Bernanke. He acts like us handing $500 billion to European banks is no big deal. Has no effect on us whatsoever. It’s of such little consequence to him that he doesn’t even know the banks it went to. This sort of thing just disgusts me. No cost to American credit? You can probably guess where all this money comes from… cooked up out of thin air. This fake money is lent to New Zealanders for interest to impoverish them, just like they’re impoverishing us. I REALLY want Ron Paul’s bill to Audit the Federal Reserve to pass. This sort of thing can’t continue any longer. We have a private bank able to print up money as they please, and they’re out of control. I have no idea what to think of it. No idea. But there is something about all of it which is very inviting to me. Strange to think that varying degrees of uncertainty is a fundamental law of nature. I understood the uncertainty principle within the context of the double-slit experiment, but applying that to everyday life would be… well… I don’t know yet. I don’t know what it all means for the everyday world I see around me. I’ll have to spend some serious time thinking it over. Here are the paramount issues in politics which matter to me, and the changes I would like to see. There are other issues going on in politics, which seem to capture the spotlight from time to time, but these things matter most to me. Nobody has any concept of money anymore. Spend spend spend. Borrow borrow borrow. We act like there’s no consequence to spending and borrowing. There is. It leads to economic slavery. The bankers rule our lives. This entire economic debacle you see is all rooted in mountains and mountains of debt. People buried themselves in debt. Our governments have buried themselves in debt. They’re currently, and have been, spending money they do not have to the detriment of us all. There’s been no sense of priorities, and our wealth has been squandered. People who have been responsible are having to now “bail out” all the corruption. Taxes are rising higher and higher, both to pay for the interest of all this new debt we’re running up, and for more and more government expansion. We’ve borrowed and borrowed until we can borrow no more, and now it’s finally caught up to us. All the borrowed money is really only half of it. Our entire economic system is a Ponzi scheme. Everyone has been trying to build wealth by juggling money around, instead of creating real value. We need to be creating new products, services, and innovations which make our lives better, not just passing money around. The stock market is a joke, and everyone’s retirement plans and investments are being pumped into it. It’s nothing but a Ponzi scheme. Stocks are trading for many many times what they’re “truly” worth, if you evaluate these company’s book values. Buying most big corporate stocks are like paying $1000 for a toaster. Some stocks LITERALLY trade for 50 times book value. The only thing that pushes stock values up is more people pumping money into the market. This creates a market which is driven by psychological whims and emotions, instead of rationally evaluating the values of various company stocks, and buying stocks which are selling for a discount. So what has been pushing the stock market up to these “pluto prices”? (As one promient economist called them) Everybody has been pumping their money into these markets, hoping to make easy money. Insurance companies dump their money in these markets. Retirement plans, such as 401ks, dump people’s retirement moneies into these markets. Bankers have been putting our savings and checking account funds into these markets, to earn us interest. Under this system the stock market is like playing a game of hot potato. Whoever gets stuck with it in the end loses. Since it’s all based on emotion, everyone is trying to out-wit the others. The only way to make money in this stock market is to buy a stock, and hope more and more people pump money into it. Then you sell it back at a profit. (there’s also dividends, and short selling, but overall this is how the ‘game’ is played). So it’s inevitable someone is going to lose in this system. The stock market cycles are really psychological cycles. There’s no economic formula for stock market behavior because it’s really just a big conglomeration of mass herd instincts. Fear and confidence, with swings rooted in things which are anything but rational, are what drive these markets up and down. Considering there’s never been a sound economic formula showing the patterns of the stock market, and how various other factors contribute to its ups and downs, investing in it isn’t much different than going to Las Vegas and gambling. Yet most people’s retirements are based on this unsound investment vehicle. It may be there when they’re ready to retire. Then again, it may not. News outlets give us “reasons” for why the market goes up and down, but if you’re a serious student of economics, you see that these so called “reasons” don’t have anything in common. One day they’ll claim that problems with oil refineries brought the Dow down for the day. But two weeks later we’ll have problems with other oil refineries, but the market will be up for the day. It has nothing to do with any of the so-called “reasons” these financial commentators say. The market does its own thing. It’s millions of people and their individual psychological cycles combining together. That’s why we hear so often, “Don’t speak negatively. If people get scared, we’ll bring a depression on ourselves!” What a joke. What will really happen is we’ll all pull our money out of the Ponzi scheme, and the rich and powerful elites won’t be able to make huge fortunes playing off emotional cycles of the people. I can’t stand money jugglers. People just throw money around into these fake markets, and make fortunes while the everyday person on the street loses everything they have. Then there’s the banking system. The Federal Reserve is the most corrupt entity on the planet. They’re supposed to keep down inflation, and keep us employed. They’ve been entrusted with various economic tools to help them do so. But they’ve abused their rights to no end. Instead of keeping down inflation, they instead create it. They create bubbles and depressions by inflating the money supply, and then blame the “free market” for the problem. You can’t have free markets when bankers are loaning out money which is nothing but air, cooked up in their books. Loaning money that doesn’t even exist. That’s not a free market. You can’t have true free markets with fractional reserve banking going on! But people who don’t know better think the “free market” created this problem. Hardly. The reason there’s mass home foreclosures right now, and everyone is struggling so hard, is due to banks loaning out loads and loads of money that was cooked up, out of thin air. Yet at the same time, they’ve been charging people interest on these loans. This system inevitably leads to depressions and recessions. If you keep cooking up money, and loaning it out for interest, eventually you’ll drain the public pockets of all the money they have, and there won’t be enough currency in circulation for them to pay back their loans. That’s what’s happening right now. Then there’s all the people like Madoff, and other losers, running various schemes. Everyone wants free money, without doing any real work. And Obama isn’t helping any. First he bails out the banks, which is just terrible. Now he’s been rapidly expanding the powers of the Federal Reserve. He’s given them the power to step in and possibly shut down any American company who they feel is a threat to the economy. They can just step in and take over. That’s begging for abuse. We’ve given a private bank, not subject Congress, or the American people, that kind of power. I think this issue alone is probably the biggest issue of mine. It’s the reason why everyone struggles day to day to get by. The problem of inequality of wealth is largely rooted in the world of finance. Goons are making billions and billions of dollars, ripping us all off. Impoverishing us all. We’re borrowing more and more cooked up money to fight a fake war, and fight an enemy that doesn’t even exist. The real reason we’re over there has nothing to do with the terrorists. We’re installing military bases over there, and running pipelines to control the oil and other resources. We don’t care about them. It’s enough of a struggle for us to keep our democracy going over here, much less save someone else. People like President Bush were abusing their powers left and right. The power of our executive branch has been on the rise and yet we claim our government is so altruistic that we’re fighting over there to help those in the middle east. They constantly rip away our freedoms with bills like the Patriot Act, then claim we’re in the middle east to save the freedoms of those over there? PLEASE. Our government doesn’t care about us, and they don’t care about the people over there either. It’s all propaganda. If these terrorist networks were so dangerous, and so well funded and powerful, then how come they haven’t attacked us again? We can’t even keep poor Mexicans out of country. Mexicans cross our borders on foot, with little problem. But constant scans at airports, and scaring us with lies about “shampoo bombs” is going to keep us safe? Yeah right. If they really wanted to get us, they’d be sneaking in everyday and blowing something up. There’d be constant explosions, poisoning of water supplies, suicide bombers blowing up our schools — but it hasn’t happened. NOT EVEN ONCE! The only school shootings that are happening is our own kids, not overseas “terrorists”. I saw a special on CNN a few years back. A guy went to Mexico, strapped on a backpack with big letters which said “BOMB” on the back, and then drove his truck over the border. He crossed through the desert. He then pulled right up to a government building, ran up the steps, and pulled a cord. Then he said, “See, the terrorists could get us so easily!” But they don’t, because it’s all lies. And if you haven’t watched the videos on the internet, circulating all over about 9/11, you need to. There’s no doubt in any of our minds — 9/11 was in inside job. It was done by the Bush administration as a catalyst to take away our rights, justify this fake war overseas, and expand the empire of the elites. There’s all this talk about where to get money for universal health-care, and free college. If we’d end the wars, stop bailing out cronies, and end this corruption in the financial world, people wouldn’t have such a hard time with the bills. But I used to write medical software, so I know more about this whole industry than most. It’s a mess. I wrote software which handled claims to insurance companies, and it was so convoluted I had to study books and books just to figure out how to fill out a few forms. They even have two year programs at various colleges which teach you how to do medical claims billing! (I had to read all their course books, ugh) The software I wrote automated the process, and did a lot of checks, making sure everything was done correctly. I want a health-care system like that of France. I don’t want to see anyone who is sick ever turned down. It’s inhumane. With our modern technology it should be a basic right as a citizen in the civilized world to get health-care. Same with medications you need. A basic right. As far as I can tell, most Americans feel the same way. We may quarrel as to various details as to how to make it happen, but this is what we want, and we’re willing to pay for it. Huge chunks of our paychecks are already being taken out for Medicare. We need to get the big pharmaceutical companies out of the way, and get rid of the health-care lobbyists. The system needs cleaned up. So many people are being bankrupted by this corrupt medical industry. I drive around a small town and see most of the buildings are run down. Then I see they have a huge, brand new hospital, and this big fancy bank. It’s ridiculous. Where I live right now there’s mass foreclosures. I see real estate signs outside of houses everywhere. Everyone’s broke. But the hospital just built a HUGE new building. And there’s another big fancy clinic building springing up as well. They apparently aren’t hurting. You’d think with record deficit spending they’d have money to send people to college, but no. It all goes to wars, special interests, and bankers. I can’t stand it. Too many young college students are being buried in debt before they even start their lives. Young 18 year old kids, just out of high school, are told to pick a career. Half of them are unsure so they just jump into the college system, because they’re told they won’t amount to anything if they don’t. Not long afterward they find themselves buried in huge debts. These debts push them around, as they know they have to move quickly or they’re going to get too many debts. So they hurry through their education, and then go work a job to pay off their bills. A lot of people end up in careers they hate just because of this stupid system. I hate it. Education is the most important thing in the world. It shouldn’t be pressured. It should be treasured. When it comes to money, I’m normally very conservative, but there are things I don’t mind paying for, such as roads, treating the sick, and sending people to school and college. We all benefit from people getting educated. I don’t care if it’s some trade school teaching someone how to work on air conditioners, or nuclear physics. People bettering themselves should always be encouraged. I can’t stand seeing college students working several jobs AND going to school. How are you supposed to learn when you’re that busy? We all suffer. Who cares about some stupid menial job. Some guy training to be a scientist, and we’re making him work at McDonalds. Why?! Let the kid focus on his mathematics and physics, so he can build us new technology to fix our energy problems. Get these financial worries off his back, so he can study. And as for the debts, it’s smarter for us to get bankers out of the equation. Let’s say you run up $50,000 in student loan debts. You’ll have to pay back over $100,000 if you just make your minimum payments. That extra $50~60k is just wasted. It’d be a lot smarter if we funded college through taxation, and got these bankers out of the process. Everyone always talks about helping kids get “student loans”… How about we get rid of student loans, and just have students, and leave them to their studies! I support Obama’s efforts to cut back pollution. I support most anything to do with cleaning up the environment. I find our cars primitive. Pumping out pollution. Factories and their pollution. Smog. It’s disgusting and we’re killing ourselves. We need to pump TONS and TONS of money into energy research. TONNNSSSS. End the war. Shut down the banking Ponzi schemes. Pump all that money into sending people to college, and funding research projects. Healthcare, college, and science research. And I’m not talking about military research. We don’t need more WMDs, or chemical bombs, or man-made plagues. Cut the military budget. Cut it down to nothing. Such a waste. I think the biggest mass of our spending should be toward education and science research. Paying professors, school teachers, and helping kids study. Curing diseases, new energy sources, all of that. That’s where our money should be going. Solar, wind, geothermal, utilizing the tides… whatever. Pump tons of money into everything related to science research. I think we can cure every disease, end poverty, and live in luxury — it all depends on science. Research farming methods so every family table has food. Research economics and have a flood of economists protesting every corrupt government practice. Research space exploration so we can learn more about the universe. Research new energy sources, so everyone has access to computers, electricity, and other nice things. We need new heating and air conditioning systems which use low power. I personally don’t use a cell phone, but I like the technology which allows people to talk to each other from anywhere, whenever, wherever. I support most all forms of science. Even in forms most people find useless. A lot of people don’t like NASA, but they’re the reason we have satellites and cell phones, and the internet. You just never know. What seems wasteful now, may turn out to create something wonderful later. President Obama is following in the steps of President Bush, supporting legislation, such as the Patriot Act, which is nothing short of police state garbage. The government doesn’t need to be listening in to our phone conversations. Keeping logs of all our internet activity. Placing cameras on every street corner, linked to high tech software, analyzing all sorts of things. We don’t need it. Stay out of our lives. I don’t like torture. Stop torturing people. Stop spying on people. Get rid of the “domestic terrorist” database. Over 10 million Americans in it. It’s a joke. End it. Get rid of things like the Bank Secrecy Act, spying on our banking activity. Flagging people who use cash as terrorists. Get rid of the airport security garbage. We don’t need all those stupid checks. Those planes that were hijacked were an inside job by our own CIA and government. Obama has been using these Guantanamo terrorists as an excuse to take even more liberties away from us. Prolonged Detentions. Obama… just stop, please. We have a handful of terrorists in a prison, and you’re wanting to rewrite how our entire court systems works. Just stop. I like the idea that we’re innocent until proven guilty. That our rights are unalienable and given to us by God. That we have the right to remain silent. That unless we’re proven guilty within reasonable doubt, we have to be released. That our trial has to be done quickly. That we’re tried before a jury of our own peers who decide whether or not we’re guilty. I like that system. And it should apply to everyone, including “terrorists”. If you can’t prove they’re a ‘terrorist’ in court, then the true ‘terrorist’ is the one locking them up, without trial. I don’t want Congress, or any sort of “experts” trying to determine whether or not I MAY commit a crime in the future. Innocent until proven guilty. That’s America. Stay off of the bill of rights, and our constitution. I have a clip on Youtube where President Bush calls the constitution “just a piece of paper”. It’s not just a piece of paper. It’s the most important document in our government.